You can't beat the taste (or smell) of fresh baked bread. There are many days when my daughter asks for soup and "fresh bread" for lunch. Both kids gobble it up like crazy! So, I like to whip up these super easy buns to go with all sorts of meals. 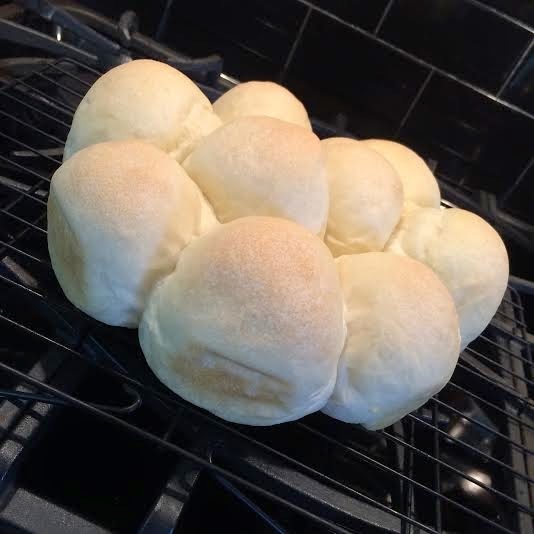 They are great for sliders, dinner buns, or to eat straight out of the oven just because. This recipe seems to stay fresh for at least 3 days too, which is about the max any homemade bread ever tastes fresh to me. They freeze fantastically if well sealed. The best part is that I throw this recipe in the bread maker. You could make them without as well....but I only do that when I'm doubling a batch. *I have also substituted crisco shortening for the butter when having guests over that can't eat dairy. **Substituting whole wheat flour also works well in this recipe. 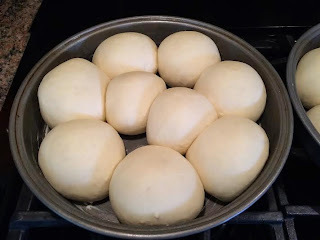 Set your bread maker to dough/pasta setting. 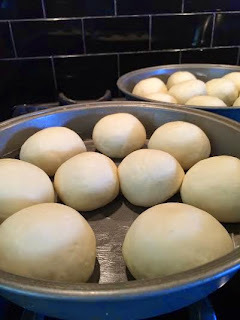 When complete, shape into small balls (I usually get about 18 buns with this recipe). Allow to rise in greased pans (two 9 inch round cake pans work well for this), until doubled in size (about 30 minutes). Cover them lightly with a clean tea towel in a warm place while they rise. Bake in a preheated 350F oven for approximately 22 minutes, or until desired golden color is reached. Finished product.... next time I'd brown them a bit more.... but the kids were waiting like hungry vultures.